So much is happening it is hard to keep up with what isn’t blogged about! I guess nothing has “actually” happened, but the “if I work real hard something might actually be happening” spidey sense is going off, which means I need to have my place treated for radioactive spiders? I’m getting ahead of myself. Something that has long bugged me is the scoreboard for “Free-For-All” mode, the one and only minigame that SSDT boasted in it’s original release. This mode is a 1-v-everyone mode where you try to get the most points. Lacking in artistic skills, and in money, I had opted to put the score for each player below them, where their player number usually is, and to give each player a unique color to identify them. Now, there’s so much wrong with what I just said I’m not going to pick it apart. I’ll just show it to you. I know! Right? Anyway, I had several scoreboards to make, as each training mode may need to support different scoring rules, and each minigame might be team-based, or everyone for each of themself. I haven’t decided on them all. 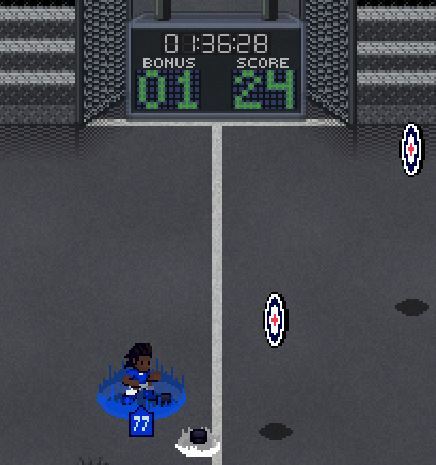 For example, the soccer player’s deftly-named “Targets 1” training mode has a bonus timer. If you kick the ball into all the targets, you get the bonus amount. 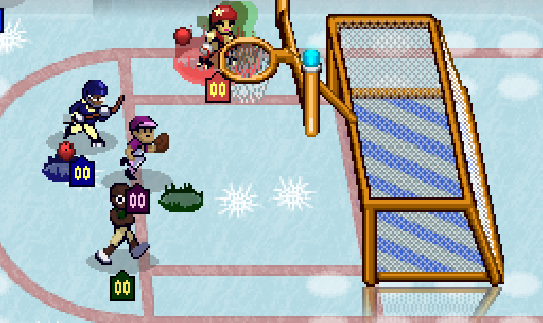 However, as a 6 player minigame (outside of season mode) there needs to be 6 individual score counters. Or it might be a team game, I haven’t really nailed it all down. So now I have a few options! After repairing my poor broken cabinet into a non-commercial demo cabinet, I set about getting the thing finished! At this point my time was mostly being spent on Season Mode, and I was working on the arcade as parts came in. I know very little about the Linux/Unix computing world, though I may have grepped a pipe or two in college. ThreeFlip’s Armed & Gelatinous arcade was doing very well running on SparkyLinux, so I decided to go the same route with the cheapest computer I could find that had an HDMI port on it. I knew there would be some challenges with a cheap PC, but I started to worry when I realized it used the same power cable as my laptop. Installation seemed to go well, until it didn’t. It took about 3 crashes to get it running and updated. Something was very wrong with the build as well. I was initially surprised that it seemed to run great. Years ago I attempted a Linux version, but couldn’t even get the joysticks working. And here it was running smoothly on the title screen and accepting inputs! But then I noticed…. …sprites missing. Also the computer kept crashing. Well, as it turns out, Debian Linux (which I guess SparkyLinux is based off of?) does not like ATI at all. I had never seen Linux crash, so it was very educational. FSCK. It’s really called FSCK, and I have entered the matrix. After doing some very late night research on the phone with Rob from ThreeFlip (Thanks again Rob!) we figured out how to update the kernel to a new version which apparently plays nicer with ATI chips. No more crashing! I checked this sprite in the Unity Editor and oddly, it was configured to have compression turned on. Since I use pixel art, I always turn off compression when I import the sprites. It looks like I missed a few, and they didn’t render at all on Linux! With that easy fix, the game was running surprisingly well though it tends to get a bit choppy over time. It looks like I need to do some profiling on my build. Now back to the PC itself, the PC needs to be mounted in the cabinet. 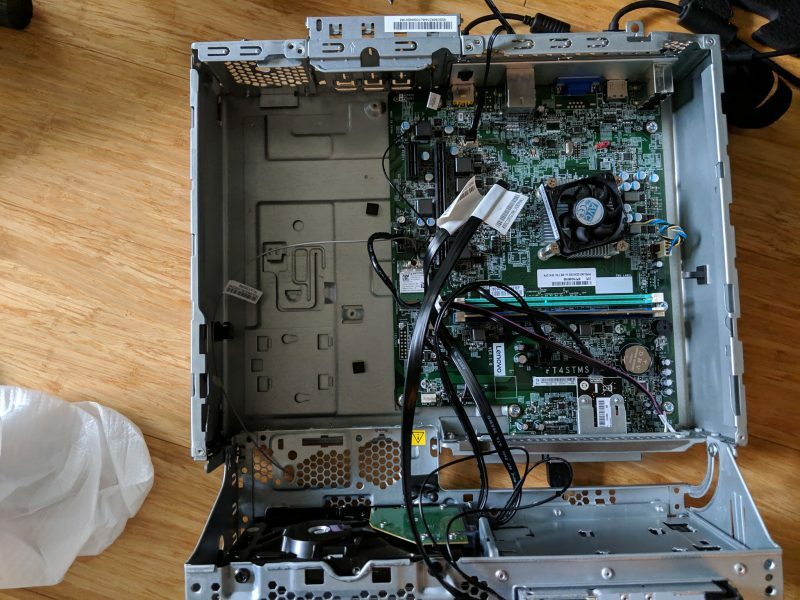 Also, typically people run the coin lights power from the computer, but this computer is very hard to work with — again, because I believe it is actually a laptop in a PC case. I also had to run an additional fan to keep the inside of the cabinet cool. Unfortunately the only fan plugs on this motherboard are the 4 pin kind. Plugging in my 3 pin fan gives me a CPU fan BIOS error, and the computer won’t boot. The fan runs at full speed, but there was no option I could find in the bios to disable the warning. 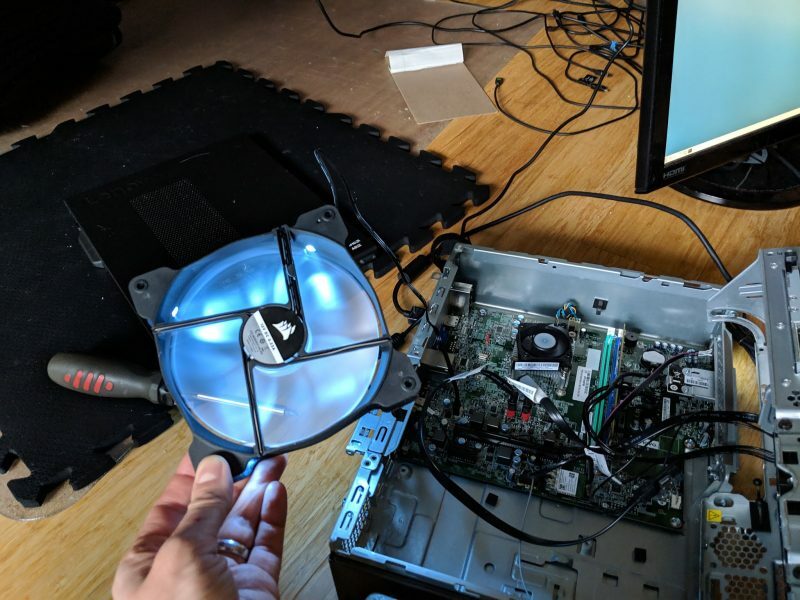 I had to buy a USB powered fan instead. 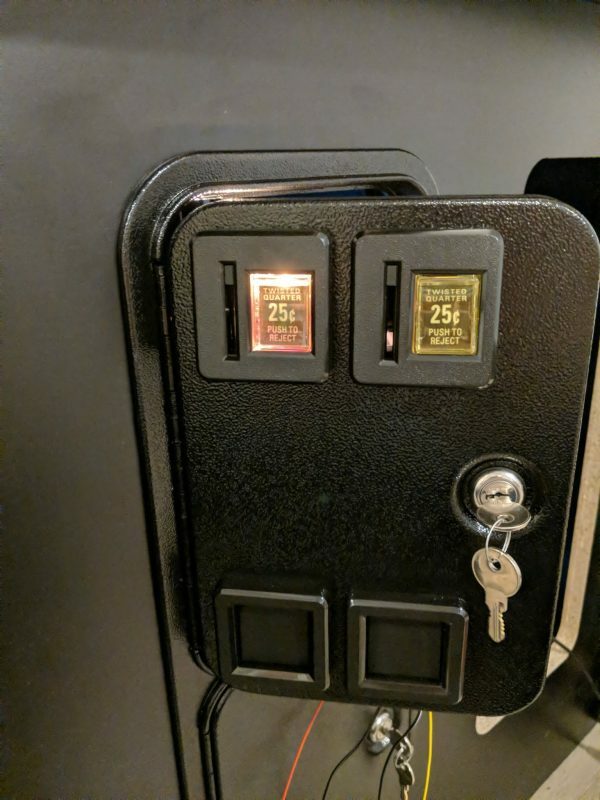 Also, there was nowhere for me to tap power for the coin door lights. 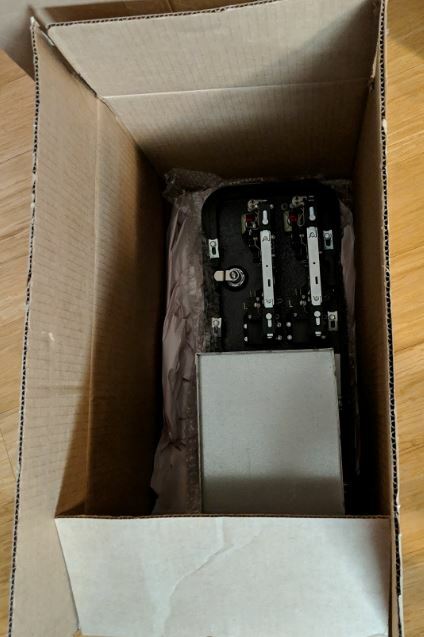 Speaking of, the coin doors finally arrived! Well, one of them did. Apparently they are on back order. I decided to sacrifice an old universal AC adapter that was capable of 12 volts to power the lights. There’s nothing like plugging in something to an electrical outlet with exposed wires on the other end! Fortunately, it worked great and I got the lights wired up, and covered in electrical tape. 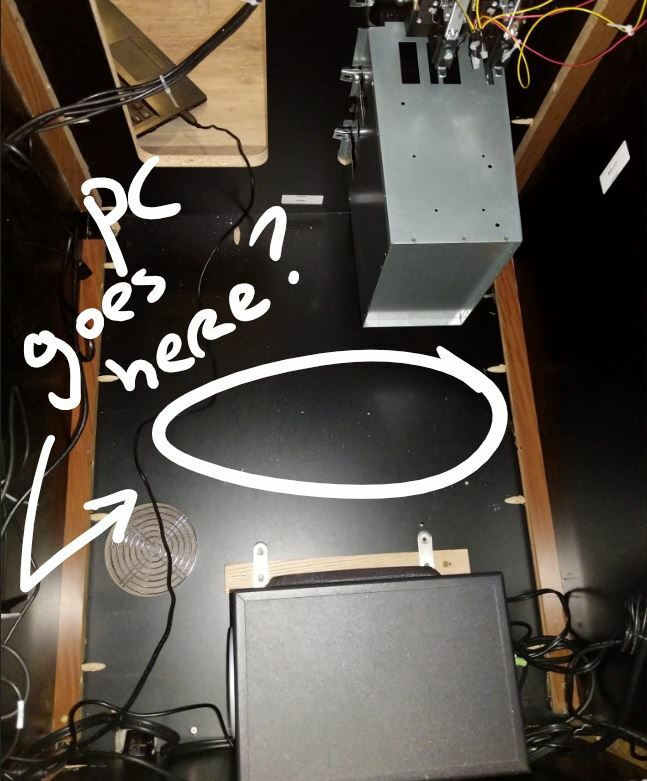 I also had to wire the coin doors to the joysticks, and with all this wiring, I started to bundle it all up so I could get it fixed to the cabinet more neatly later. For now, it’s taped up to the sides. As for the PC, it may have to sit in the center of the cabinet, I haven’t quite got that figured out yet. Another option would be to build a shelf for it? Well now it is time for that Arcade Edition already! 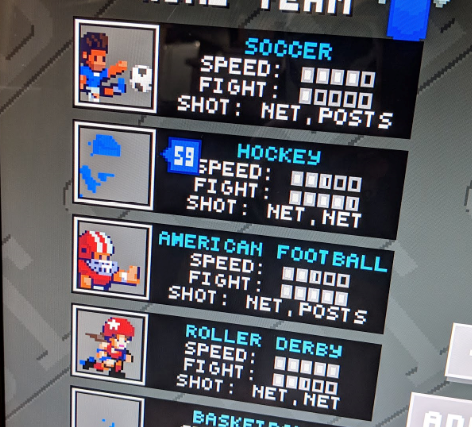 This week I am working on a new player select screen that will be used in Season Mode and Arcade Edition. It will be much simpler, easier to understand and faster to get into the game. Beyond the title screen accepting quarters and a player select, I still need to actually have an Arcade Edition, as in, a series of matches for co-op, and a competitive match when other players challenge you. Given all the new game modes I’ve been putting in for Season Mode, it should be trivial but still takes time, and if you can’t tell, I am very busy! I could show the progress on the player select, but this is already a long catch-up blog so I’ll save it for next time. Maybe TMI, but I make about $zero on SSDT outside of store sales, and sales do not pay me much. I don’t know how people imagine I am doing, but a couple hundred bucks every few months is not a lot. Now I might have a prospective buyer for a real commercial arcade unit of SSDT, so I am pursuing this with more time, energy and personal funds. 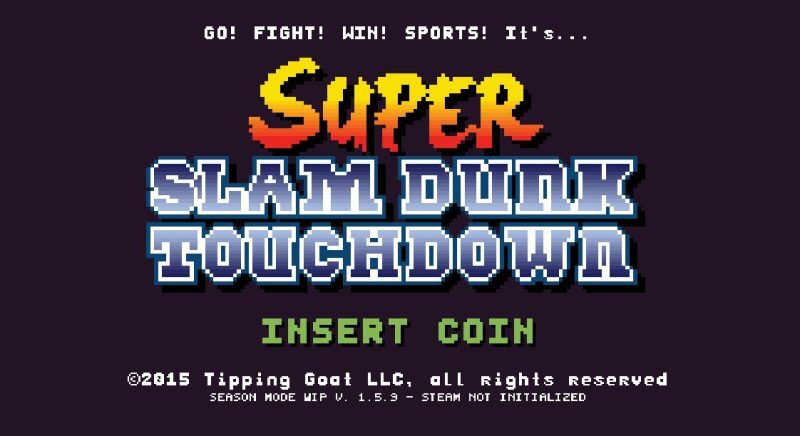 This could be an opportunity to make some money off of SSDT and at the same time might land an SSDT: Arcade Edition cabinet in an arcade near you. But first, I have to complete the prototype. I know if you’ve been waiting for the Xbox One version since 2015 this is maybe not the news you want to hear, but I gotta pay bills too. I will continue work on Season Mode and work to get SSDT certification ready for the Xbox One. I will work on elements that are useful for both Arcade Edition and Season Mode where possible, and if money can come in from selling an arcade cabinet, I can contract the art I need for Season Mode to be completed, so it’s a win-win. More compelling for me personally is the opportunity to have a profitable business selling this crazy game I dreamed up 10 years ago.